Who is Responsible for the EA? 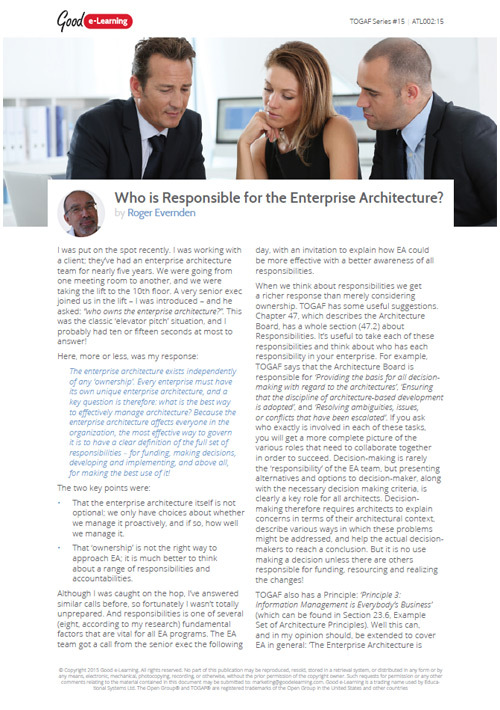 When people talk about the enterprise architecture, they often mention its position within the organization structure, which implies an organization unit that “owns" EA. But making a success of EA requires a more comprehensive framework that includes a much broader range of responsibilities.